This year (2016) I tackled the reading challenge put out by Christian blogger Tim Challies. It was a fun time. Finding a book to fit each category was like a scavenger hunt. And then there was the added layer of being able to share progress with a community of other readers who were doing the same thing (there was a Twitter hashtag, a Goodreads group, etc.). X 51. A book by a speaker at a conference you have attended, Andy Stanley, How Good is Good Enough? X 59. A book about productivity, How Did I Get So Busy? A-line skirts in an episode of Friends (said by Ross). In a Border Control show on Netflix I heard absconded. In a clinic I work at I heard acupuncture (offered for $5) and abscess. The rest are from books: Cardinal Sins had acedia, Influx had abeyance, adhere, and adrift. Klosterman IV had abject, adroitly (he seems to love this word), acquisition, adoring, accentuated, adamantly, and administrative. An article on Street Dependent Culture had aberrant. The Giver had abuzz. Rereading had abetment, adolescent, aesthetic, acuity. Daring Greatly had adoration and addictive. I plan on reading the New Testament. I'm going to use the Youversion app on my phone to go through the Navigator's 5x5x5 reading plan. Every day my phone will have the next reading ready to go. Want to join me? You could also google the 5x5x5 Bible Reading Plan and print out the sheet and stick it in your Bible. (It gives you weekends off, which is nice). The 5x5x5 means you read 5 minutes a day, 5 days a week, and have 5 ways to go deeper: 1. underline or highlight. 2. Put it into your own words. 3. Ask and answer some questions. 4. Capture the big idea. 5. Personalize the meaning. Otherwise I'm dropping my book goal down to 27 for the year so the plan is finish a book every 2 weeks. Have a safe and happy New Year. I'll be working in the hospital all day and night tomorrow so feel free to lift up a prayer! Thanks! I just finished The Know-It-All by A.J. Jacobs, a book about what it's like reading the entire Encyclopedia Brittanica. The book is a celebration of learning. It's about the randomness and the interconnectedness of things. And it's about the absurdities of history. Each bite-sized entry (to go along with various topics found in the encyclopedia) is funny, interesting, and quick. Great read. I too enjoy learning new things. I'm determined to brush up on my Spanish this year (because I'm finding opportunities at work to give it a try). We're now in the final quarter of the year so I'm calculating how much catch-up I would have to do to get back on track with the 2016 Reading Plan I started. Anyway, learning and discovery make life more interesting. You agree? Stranger Room by Fred Ramsey: 100 ad hominem, 134 addition and advice, 150 acceptable. 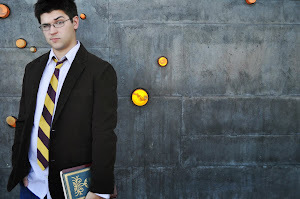 Know-it-All by A.J. Jacobs: 4 addiction and adult, 5 adversary, 7 a-ak, 9 addled, abolitionism, abominable, 11 aardwolves, abalone, 13 aaah, 64 adornment, 96 absinthe, 268 acne, 292 aback, 293 adrift, 349 abbot, 359 abstruse, 363 aboriginal. 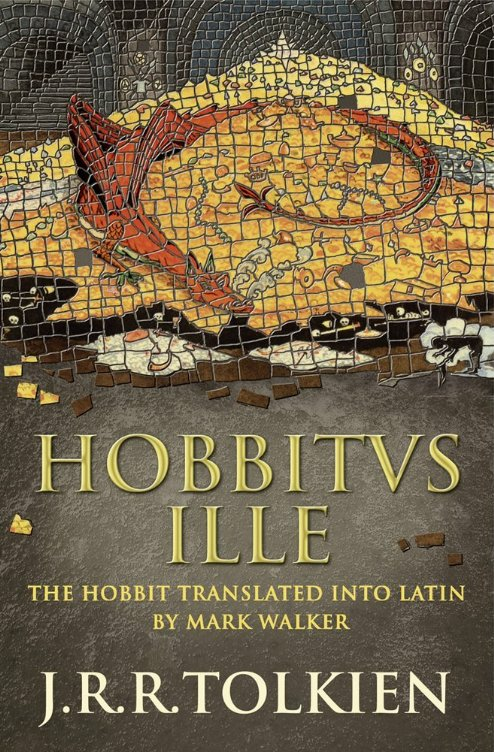 Did you know that The Hobbit has been translated into Latin? I know that now because I found a copy at a local bookstore. My wife was with me that day so somehow, incredibly, she convinced me not to purchase it. 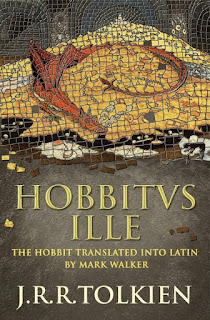 Her argument was that owning The Hobbit in Latin was not a necessity in our lives right now. Hmm, depends on how you define the word 'necessity,' but I begrudgingly agreed with her at the time. You're not going to believe this but the bookstore still had the book on the shelf! I know, I know, I too was worried that countless people would be interested in grabbing this book. So I snatched it up and have been reading snippets to my daughter ever since. It's been years since I took Latin so chances are high I'm butchering my pronunciations but still, it's a nice motivator to refresh myself on the language I studied through High School. One of the things I'm enjoying most about reading to my daughter is the music of the sentences. Latin has its own rhythms and beats. That's why I love listening to languages I don't even know, they have ups and downs, lilts and pushes, sentences twist and flow. The same has also been true for reading children's books in English: the silliness of kid books helps you remember the fun of language. Who can forget those early Seuss rhymes? Or the poetry of Shel Silverstein? All day I've been walking around with a sentence in my mind from one of my daughter's books, "Roly poly on the rug!" So with all of this in mind, here's my next piece of the "Life-Sized Word Search" list, where I look for real life instances of every word in the English dictionary. I was on the search for words aa- to ac- but I recently found the word adze in a book I was reading, and since I probably won't stumble on that again anytime soon I'm declaring open season on aa- through ad-. In the book She's Such a Geek, Edited by Annalee Newitz and Charlie Anders: 16 accessory, 43 accrue, 149 aborted, 158 acquired, 175 accidental and acceptance, 178 action and A+, 184 a la, 187 actually, 188 accurately, 193 acclaim, 206 acquiescence. So Many Books, So Little Time by Sara Nelson: page 26, above. Jimmy's Blues by James Baldwin: 7 aching, 22 accomplice. Parasites Like Us by Adam Johnson: 136 absorbers, 149 absently, 218 accommodation, 258 achromatic, 262 able-bodied, 264 accountant, 293 acute, 294 A-okay, 329 accelerating. And for ad-: 'added' in Aug 22 post of Elevated Bag Lady, 'adolescent' in 5 and 193 of She's Such a Geek, 8 advantage, address admonition adze and advanced in Parasites Like Us, admit in Growing Your Faith by Giving it Away. When was the last time language excited you? Perhaps you got a kick learning a new word? Or maybe you heard someone talking in another language and became mesmerized by the music of that mysterious code? My 11-month-old is discovering the world, and with it, language. I remember the first time I looked at her and shouted "booger booger booger!" and she broke out into a loud giggle. When she hears someone make a new sound, or some new combination of syllables, she often zeroes in and recognizes the novelty. And while she has been saying 'mama' for a while but I'm pretty sure she said 'dada' for the first time the other day. Incredible. So with all of that in mind, here's a few more finds for my 'Life-Sized Word Search,' which, to remind you, is a challenge to find a real-life instance of every word in the dictionary. You are welcome to join me in the search if you'd like (we're still working our way through aa- to ac-). Today I'm sharing the next piece of my will-someday-be-very-tedious word search list. I'm on the hunt for vocab words in the aa- to ac- range! Though in a Stephen King book I also came across the words 'anhedonia' and 'stipplework,' two words that I may never see again in my life (so I better hold onto the page numbers for when my list gets there). Aa: The word is from Hawaiian for basaltic lava but does it count to find 'aa' as an abbreviation for Alcoholics Anonymous? I saw some a.a. books at my local thrift store. Aardvark: from Arthur the kid's show. I'm pretty sure I heard the word. I'm thinking I'll dip into ad- for my next post and REALLY get things moving along. Accented: The Sudden Appearance of Hope by Claire North. Pg. 33 of Kindle Version. Accuser: The Wordy Shipmates by Sarah Vowell. This book also had actual, acquired, actors, abhors, and according. Accustomed: Growing Your Faith By Giving it Away. This book also had acknowledge, accomplishment, according, accustomed, across, accuracy, actively, and act. Achieved: In a graduation card given to a High School graduate. Acid: On a cereal box in the ingredients. Recently I’ve used this blog to chronicle some ways I’m trying to grow in faith. For example, in 2015 I found a piece of art/media for every passage in the Bible. These challenges may seem silly (because they are) but really it’s just a fun way to spark some creativity. What challenge could you set for yourself? Do you have any hobbies that you could harness for discipleship? One of my “games” in 2016 is tackling the Reading Challenge put together by Tim Challies at Visual Theology. We’re getting closer to June so I wanted to give an update on how it’s going. I post reviews of each of these books on my Goodreads account (which is like Facebook for readers). _ 4. A book someone tells you "changed my life”. Any suggestions? ✓ 9. A book more than 100 years old. Selected Essays: Montaigne. ✓ 10. A book for children. EverWorld: The Realm of the Reaper by K.A. Applegate. _ 14. A book written by a Puritan. Any suggestions? _ 23. A book on the current New York Times list of bestsellers. ✓ 25. A graphic novel. Batman, Death by Design by Chip Kidd. ✓ 26. A book of poetry. The House on Marshland by Louise Gluck. ✓ 31. A play by William Shakespeare. The Tempest by William Shakespeare. _ 33. A book based on a true story. ✓ 36. A book with 100 pages or less. Stones in His Pockets by Marie Jones. _ 37. A book with a one-word title. _ 39. A novel set in a country that is not your own. _ 42. A book about joy or happiness. ✓ 43. A book by a female author. Someday, Someday, Maybe by Lauren Graham. ✓ 52. A book written by someone of a different ethnicity than you. Shake Loose My Skin by Sonia Sanchez. _ 72. A book about suffering.